Not wanting to waste any more time, we decided to give Sawadeethai a shot. Quite empty despite being a weekend. 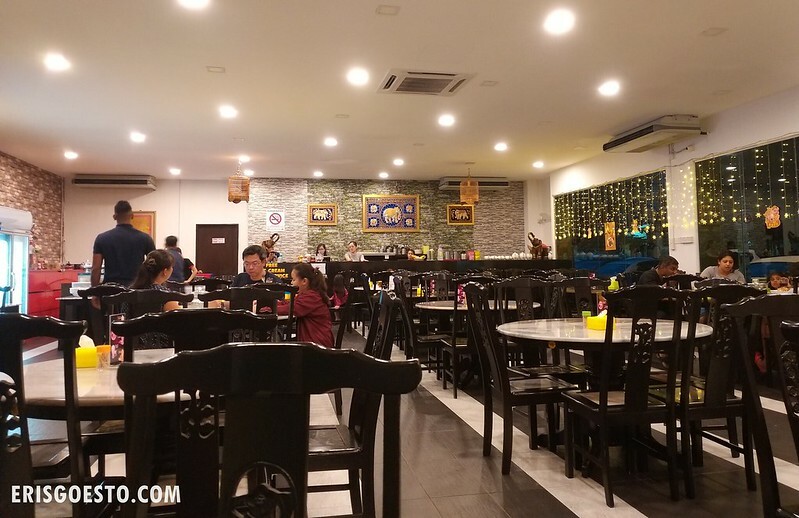 The interior looks pretty generic: marble tabletops and dark wood furniture; the only indication that it is a Thai restaurant being the framed elephant tapestries at the back. Our orders were served up reasonably fast. 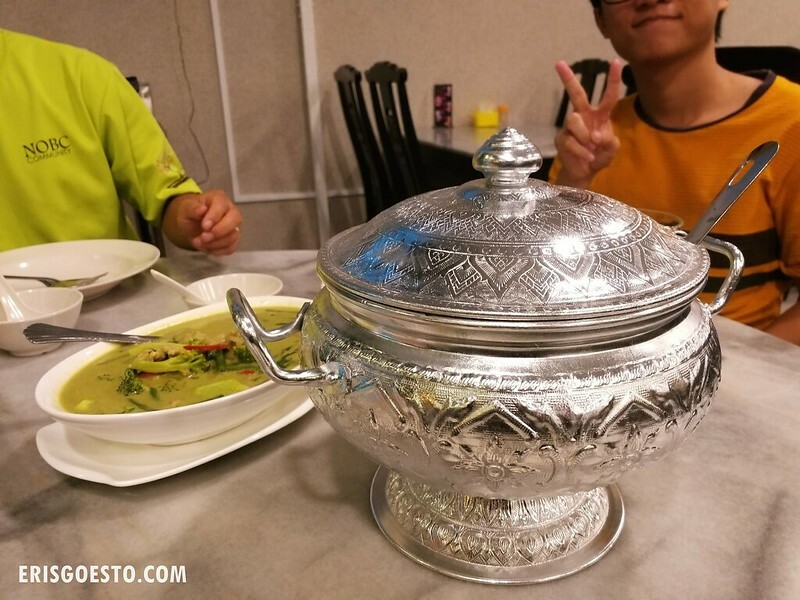 First, fragrant Thai rice, served in a classic silver rice pot. 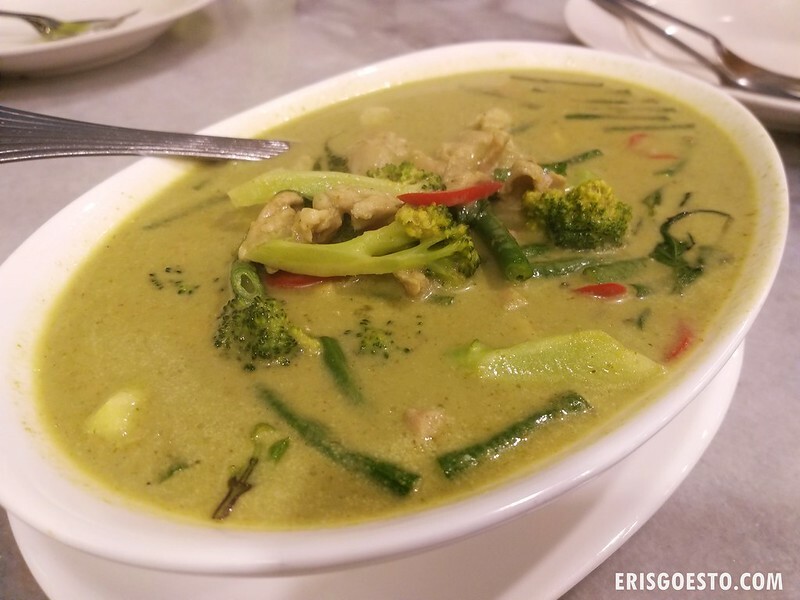 Green curry chicken, loaded with an assortment of vegetables and tender, boneless chicken chunks. The coconut milk was pronounced but not overpowering, and it was not too spicy (which can be good or bad, depending on how much kick you like). 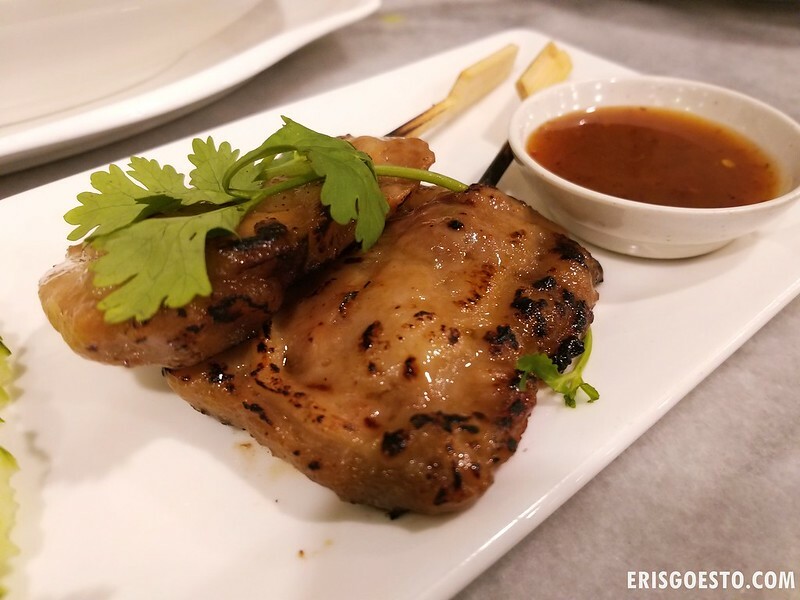 One of my favourite things to order at a Thai restaurant – grilled pork skewers! These were the right balance of lean and fat, tender and flavourful with a slight char. 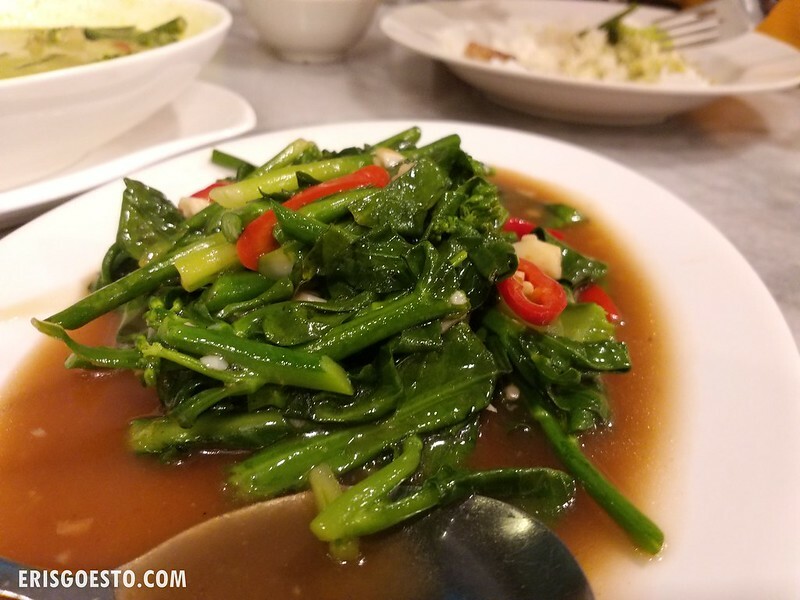 Stir fried kailan. The red chilli was just for garnishing as it was not spicy. Vegetables were fresh and crunchy. 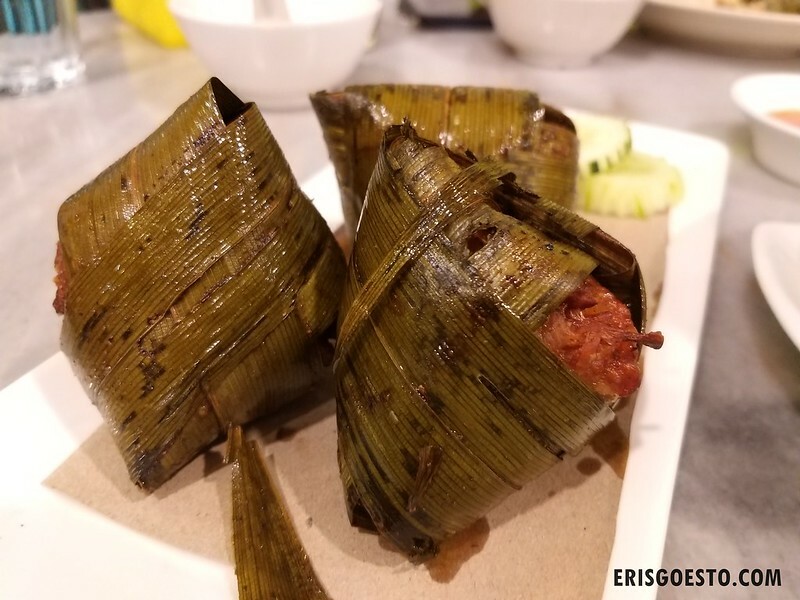 Pandan chicken – boneless chicken pieces wrapped in fragant pandan leaves and deep fried. Again, flavour was just right without being overly salty, and the chicken was juicy with a nice, crisp exterior. Good stuff. The only hit and miss was the squid. 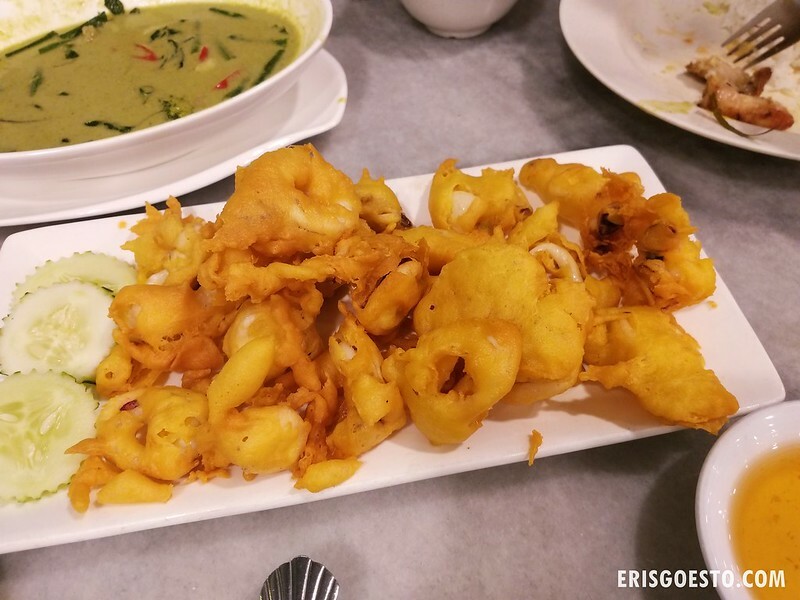 Unlike the Chinese-style which usually has a crumbly coating, this version’s batter resembled the Malay-style cumi-cumi goreng more. Each piece was probably 60-70% batter over squid, and the coating was tasteless. It was only decent with the sweet lemon sauce. All in all our bill came up to just over RM100, which was pretty reasonable, as the portions are generous. A good place to go to if you’re craving Thai food and don’t want a long line.